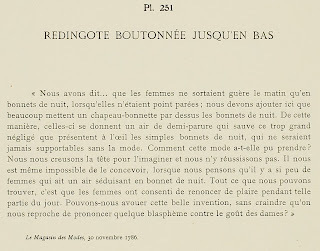 "We have said ... that women hardly go out in the morning in night caps, when they are not fully dressed; we must add here that many put on a chapeau-bonnette over their night caps. 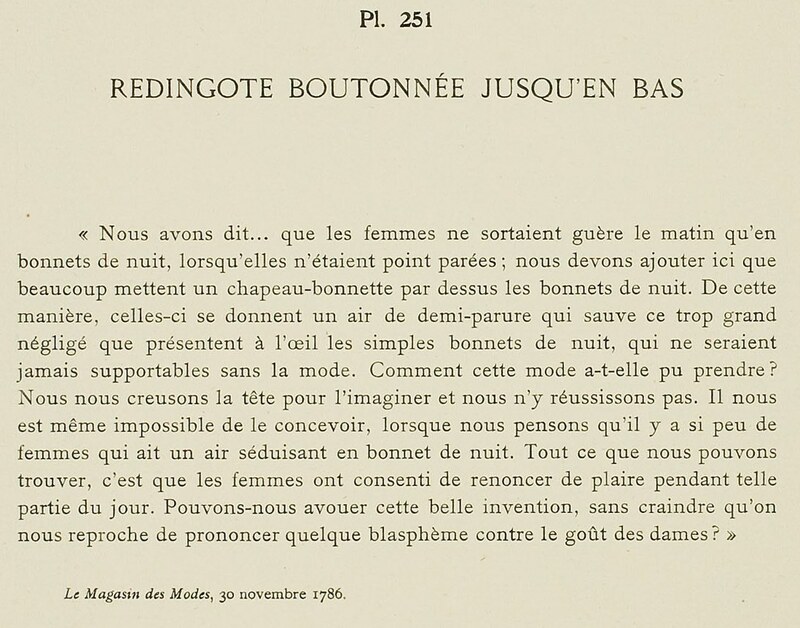 In this manner, they give an air of being half-dressed which redeems this very great négligé that presents to the eye simple night caps, which are never tolerable without fashion. How was this fashion able to be taken? We widen our heads to imagine it and we do not succeed. It is even impossible for us to conceive it, when we think that there are so few women who have a seductive air in a night cap. 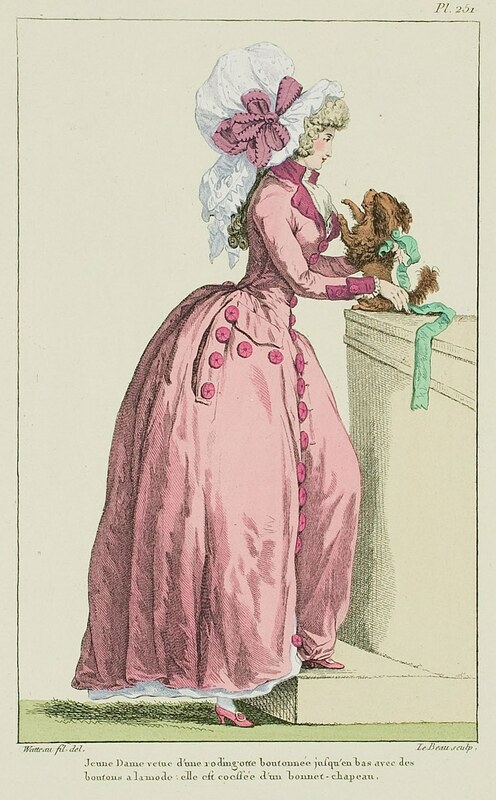 All that we can find is that women have consented to renounce pleasing during this part of the day. Could we acknowledge this beautiful invention, without fearing that we are reproached for pronouncing some blasphemy against the ladies' taste?"